Yesterday there was a situation at work that made me wonder if we are putting too many rules on kids play. Is all this nitpicking necessary? Shouldn’t we be focusing on the big picture? We were out on the playground and I was watching three children who were playing under a dome shaped climber. One of them was pretending that the bars were doors and kept going in and out of the different doors. Meanwhile the other two were playing with a bucket of sand. They were pretending the dome was a store which they go in and out of and were making things for each other. I observed the children taking turns sharing a spoon to stir with, talking to each other about their play and generally getting along and enjoying each others company. Lately I don’t see that many positive social interactions in our classrooms so I was enjoying it. They were sharing, being kind to one another and certainly not harming anyone else. Generally we insist that they keep sand and all the sand toys in the sand box, but it was only a small bucket of sand and they were playing so nicely that I didn’t want to ruin the moment. Suddenly one of my coworkers came over and got very irritated that they had brought some sand under the climber. 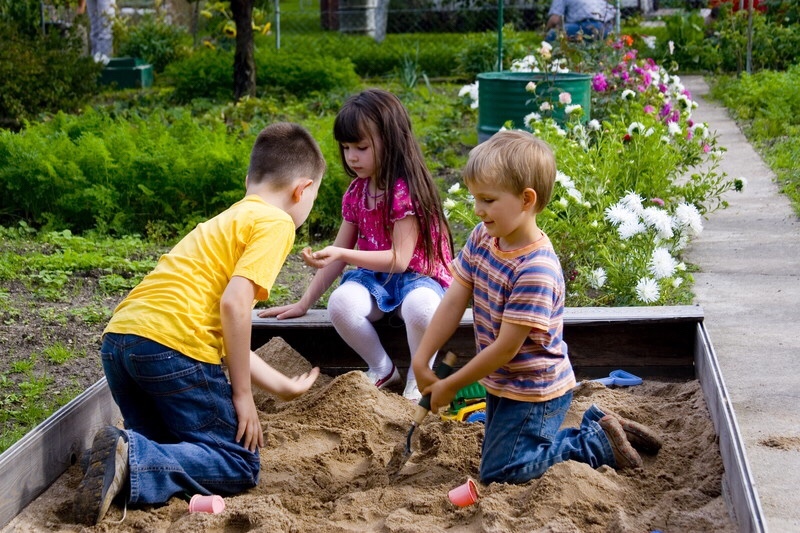 She told them to get back in the sand box and demanded to know who had brought the sand over. I told her that they had been playing there nicely for a long time, but didn’t know what else to say to her. She seemed irritated with me for letting them do that, but I feel that positive social interactions and their imaginative play is more important than the fact that there is a little bit of sand outside the sand box. One of the dilemmasis how much and when do you let them experiment and how much do we have to box them in? At the same time, I understand where she is coming from. The sand box doesn’t get filled often so I understand her wanting to keep the sand in there. I also understand being consistent with rules and maybe if I had noticed when they had originally brought the sand over, I might have said something before they got started. When I found them, they had this set up already. I like my coworker. We get along and she’s a good teacher. She’s strict, but she cares about the kids. We complain that kids don’t engage in imaginative play, but we seem to squash it without meaning to. We often have to interrupt play that could become more complex because of keeping to a daily schedule. We wish there were more healthy positive social interactions between the kids, but we have a tendency to interrupt those as well. As rules and regulations for childcare increase, that gets past down to the children. We no longer have the freedom and neither do they. Sometimes we have to curb their art because we’re afraid we will run out of paper. the paint is almost gone so we can’t do that project we had planned. Assessments are around the corner so we have to find out if the child can pick out any letters or make an AB pattern. So much of today’s childcare industry is filled with budgets, rules and regulations. Whatever happened to what we were in this field for, the kids? Sitting down and actually playing and talking with the kids. I am glad I grew up when I did because I have fond memories of playing outside, being creative and laughing with my friends. I often wonder, what will our children say they remember from their childhoods? A very relevant point. I was a Montessori teacher for two decades and often came across such dilemmas and decisions. One day the owner/boss was upset with me because I did prevent a child from climbing up the slide. I should have reminded him that up the ladder down the slide.On your bottom on the slide…But the five year old child had done it for the last three years many times..he was only practicing and challenging himself climbing up the slope…!! You are right..we are limited with our own freedom , so we want to limit the same for our children too. Enjoyed reading your post. Dita. I agree with you. Sometimes climbing up the slide can be a good challenge. My daughter often does it when we go to the playground, but she is the only one playing there so I don’t mind. When the kids do something like that at the center, I have to remind them not to. In cases like those, you have to do what’s best for the whole group. It makes it much harder.